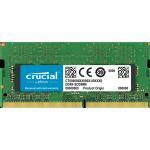 "I have used this RAM to upgrade the RAM on a Toshiba laptop and it is a great produce for the price." "This memory is a great way to expand your computer's RAM - or Random Access Memory - which is the temporary main storage for you computer." "Bought for my NUC computer, works great, no problems." For over 25 years Kingston have been manufacturing high quality memory and RAM for computer upgrades for desktops, laptops, servers, motherboards and more. The Kingston KVR16LS11/4 4GB DDR3L PC3-12800 1600MHz Memory 1.35v CL11 SODIMM module is made to the highest possible standard, undergoing rigorous and unrivalled testing to ensure it performs as you would expect it to. 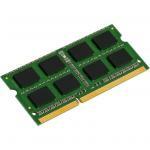 Kingston offers lifetime warranrty on all its memory modules to back up its assurance of quality. Kingston is involved in the DRAM process from the dicing of the wafer to encasing the integrated circuits and from assembling the module to testing the finished product meaning Kingston are involved in every part of the manufacturing process to ensure excelletn quality control. Hi, I want to upgrade my Lenovo Thinkpad T410 from 2+1GB by using this 1600Mhz 4GB as a replacement - is it compatible ???? 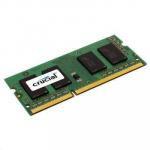 I have used this RAM to upgrade the RAM on a Toshiba laptop and it is a great produce for the price.I have used this RAM to upgrade the RAM on a Toshiba laptop and it is a great produce for the price. This memory is a great way to expand your computer's RAM - or Random Access Memory - which is the temporary main storage for you computer.This memory is a great way to expand your computer's RAM - or Random Access Memory - which is the temporary main storage for you computer. Bought for my NUC computer, works great, no problems.Bought for my NUC computer, works great, no problems. Works perfectly - installed in six laptops so far for me.Works perfectly - installed in six laptops so far for me. Installed in minutes. Been running well for a month now.Works great! Installed in minutes. Been running well for a month now. 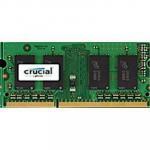 Good choice of RAM for an Intel NUC.Good choice of RAM for an Intel NUC. Normally: $49.00 Normally: $56.35 $42.00 ex. $48.30 inc.